Since buying a page from US Vogue can cost $100000, saving money on producing a campaign might be a good decision. 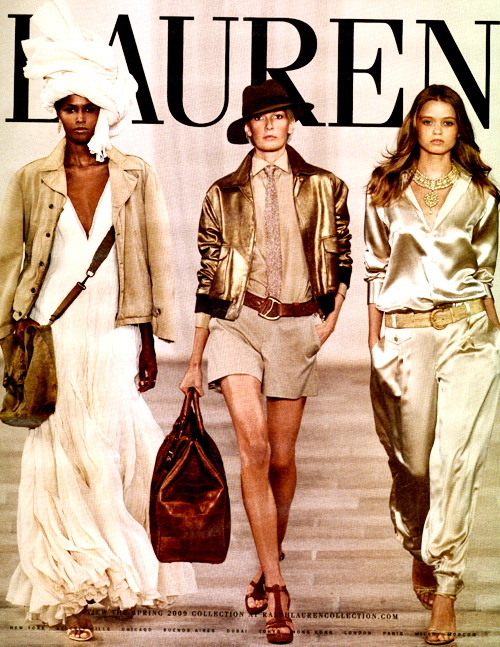 For the first time ever, Donna Karan is using images from her runway presentation for the ad campaign. 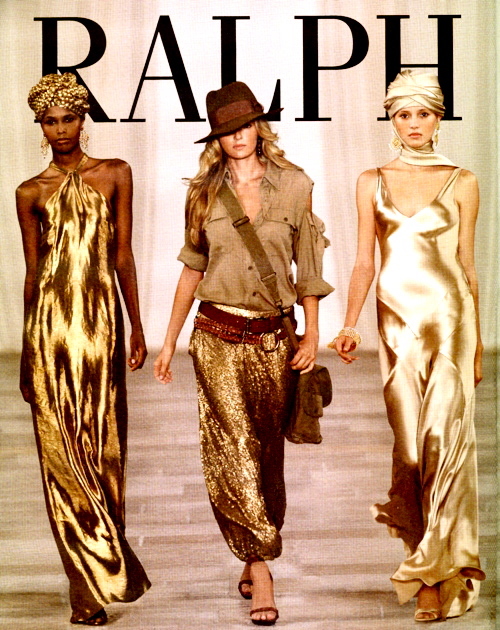 And then there’s Ralph Lauren, who is no strangers to this idea of runway/backstage shots in campaigns. This collection is fabulous though, it is among Style.com’s top ten collections. On to the latest news, Claudia Schiffer, who was the face of Chanel and Ferragamo for two seasons straight will be the new face of Yves Saint Laurent and Dolce & Gabbana. She might be old but seems like she is still very wanted in the industry. Would you wear these shoes? i like the way they’re recycling the runway pics to make the ads, very clever and they look great too. Claudia Schiffer is a great choice because she rarely go out to fashiony affairs and get ‘overexposed’ like the other models. The runway pics in ads makes sense to me. When they’re well layed out and cleverly photoshopped they look as appealing as studio work or mega bucks productions. And its great to see the staying power of Claudia Schiffer.She’s now part of a new select club of perenial models like Kate Moss,Stella Tennant,Christy T and Linda E etc.Oh and Naomi of course! Claudia Schiffer is old? So are the other supermodels……Old? Most off the women that can afford designer clothing have a career themselves or a husband with a nice bank-account. Or both! LOL, that is even better! They are the ones that keep the fashion industry going. Not the teens that are in awe about the designs……. Laila, I know you’ve just become 18, can you imagine your life is over and done and your old at that age? Only 20 years left “to live”? And what about the rest of your life? People get older lately….ouch….